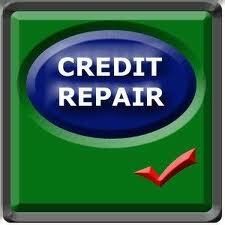 Today in America TV is pleased to bring an episode to the audience about credit repair. No one other topic is hitting the general public harder than this one as people are maxing out credit cards to pay for the necessities of life. Today in America TV knows how hard people are working to make ends meet. While the number of unemployed seems to change weekly, the cash strapped general public relies on personal credit cards to tide them over and to pay the bills. The average American has over three credit cards. Imagine all three are tapped out and not paid. Now imagine how many credit repair companies are operating and how many of them will really help the struggling citizen repair bad credit. A respected federal agency offers valuable advice about how to tell which firms are the good ones versus the bad ones and how to truly repair bad credit. The award winning program introduces a new series to help weed out the reputable from the non reputable. 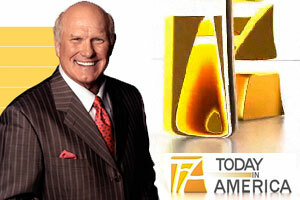 Former NFL great Terry Bradshaw is the host of Today in America with Terry Bradshaw. He is recognized as one of the greatest quarterbacks in football history. Known as “the man with a cannon arm”, he holds the distinction of being the first quarterback ever to win four Super Bowl Championships. Twice named as Super Bowl "MVP", Bradshaw holds Super Bowl all-time passing records to this day. Currently, he can be seen on Fox NFL Sunday as an analyst and is a highly requested motivational speaker and is a published author of two books. The Today in America TV show is high-value television. The producers continually aim to seek out and bring the viewer educational and entertaining programs of value. Program topics are geared toward the working professional and range from investment strategies to how operate in a world focused of social media. Formatted into manageable segments, it is available nationally and regionally on many popular and respected cable television networks. For more information or to find local air times, please visit todayinamericatv.com or visit us on Facebook and Twitter.